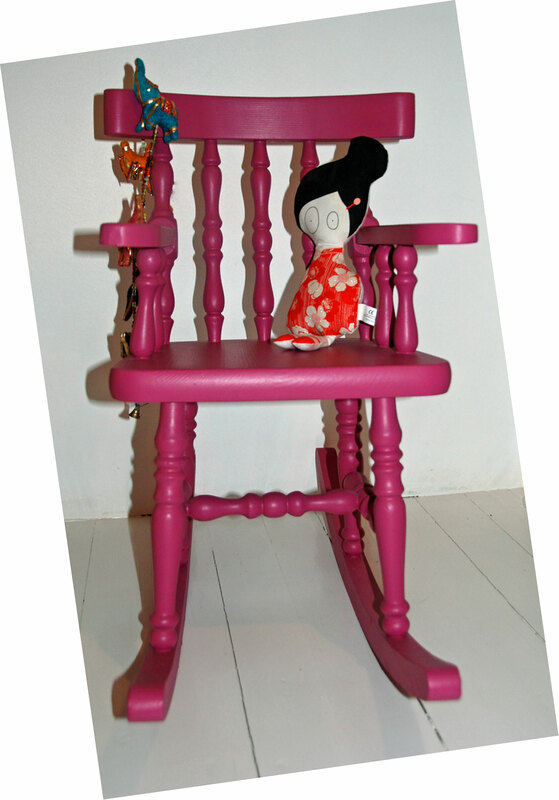 My girls rocking chair comes from the monthly brocante in Annecy, which takes place the last Saturday of the month. We painted it in cherry pink. But it really should have a pillow that goes with it. So, I will be looking for one or maybe, but only maybe, I will try to make one.